The beauty of running will always lie in the fact you can simply grab a pair of trainers, open your front door and get moving. According to Statista, around 65 million people did just that in the US last year. Strava also revealed that in 2017, 136 million runs were uploaded globally to the social network. For the first time since Strava has been live, there were more runners than cyclists logging sessions in the UK. Every runner is different. Some like to keep things simple and it's more about just getting out of the house or onto a treadmill to stretch those legs. Other runners are obsessed with performance. That quest to get faster, that competitive drive to outpace running friends in real life and ones we've never actually met before. One thing that most runners have in common is the need for a tech companion out on those runs. Whether it's a smartphone, a watch or a pair of headphones, there's more connected kit built for runners than there's ever been. This tech wants to motivate us to keep moving, to help us run better without risk of injury and even convince running haters to become running converts. All of the above are reasons why we wanted to do this Future of Running Week. To recognise the innovation that's happening right now in the wearable tech space while looking ahead to the devices that will change the face of running for years to come. Over the coming days, you'll hear from the Wareable team along with a host of writers (and running fans) about what the future of wearable tech holds for runners. You'll hear from Polar, Garmin and Suunto on the evolution of running watches and the emergence of sporty smartwatches. We'll explore how clothing and running shoes will get smarter and ask runners what they really want from that dream running watch. 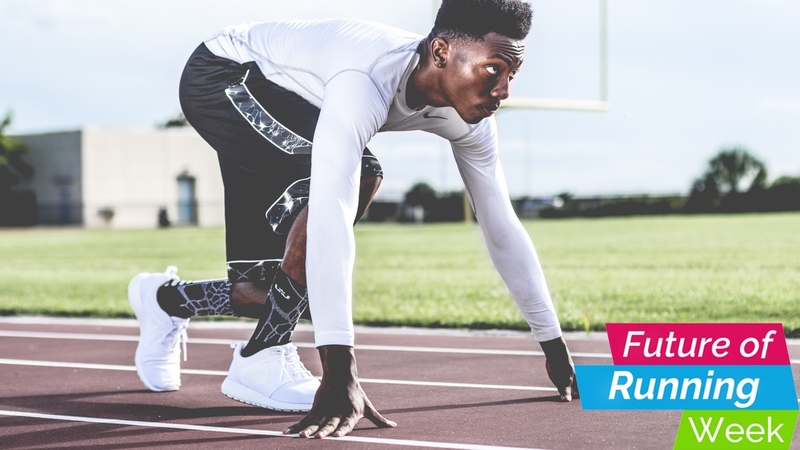 Keep this page bookmarked if you want to find out what's been happening during the week and look out for the #futureofrunning hashtag on our Twitter and Instagram feeds to keep up with the conversation and let us know what most excites you about the running tech space. After all, these wearables are all being built for you. We're starting out the week with a bang, rounding up some avid runners and Olympians to design their dream smartwatch. We're also peering into the future of smart running shoes and speaking to the people making it happen. Oh, and don't miss our interview with Polar on where it's going next. Be sure to check out our guide to interval training with a running watch and our roundup of the best Bluetooth running headphones. Finally we're helping to demystify the jargon with our guide to understanding and getting more from your running watch. We're not slowing the pace on Day 2, as we take a look at nine exciting startups coming for runners; we look at how wearables can prime the running greats of the future; get the story on how Motorola put Garmin off the idea of music streaming for so long; and discuss what Apple needs to do for the Apple Watch to be a better running partner. Speaking of, we also round up the best Apple Watch running apps and offer up 11 essential tips to eke out more from your running watch. Phew. Where do smart running clothes go next? We go inside the race to make connected apparel for runners. We also chat to Suunto on how it's navigating runners across the world, list the best wearables for HIIT training and offer some tips for training better with wearable tech.